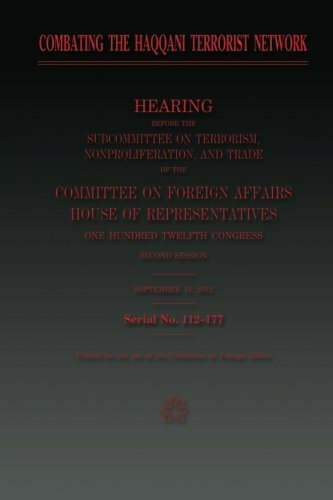 This hearing title is ‘‘Combating the Haqqani Terrorist Network.’’ We are examining a terrorist network that the State Department has just decided to designate as a Foreign Terrorist Organization. And yesterday, we were all saddened and angered over the killing of an American diplomat and three other U.S. Government personnel during an attack on our consulate in Benghazi, Libya. Exactly 1 year ago today, it was the Haqqani network that launched a 20-hour long assault on the U.S. Embassy compound in Kabul. And that attack left 16 Afghans dead.